Registration for the 12th Annual EPT Golf Outing is Now LIVE! 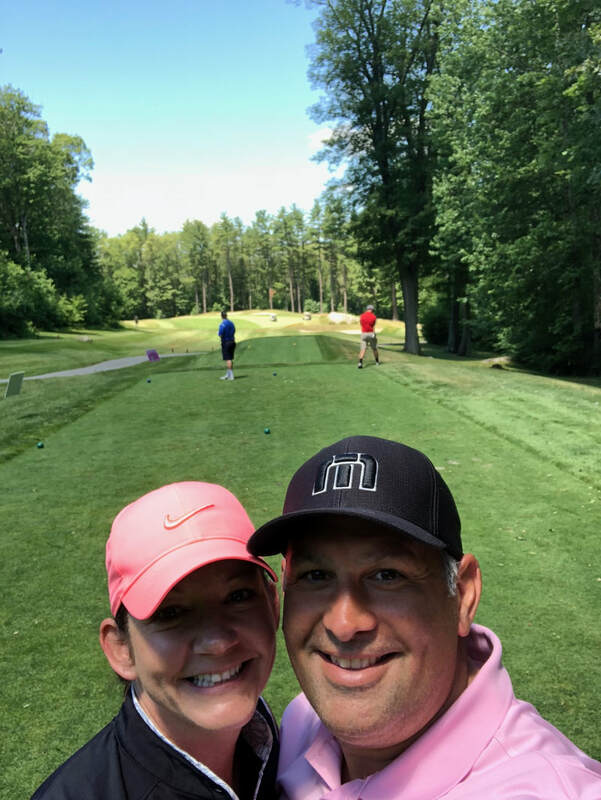 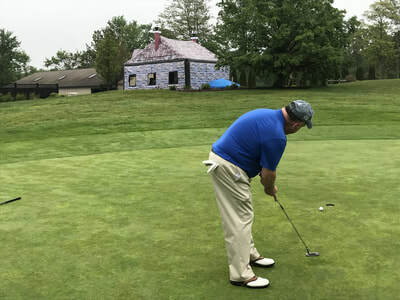 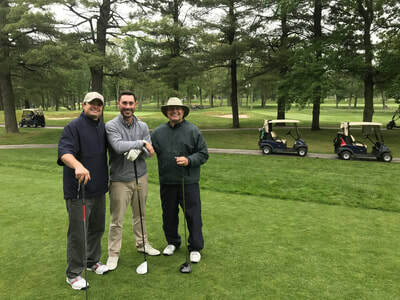 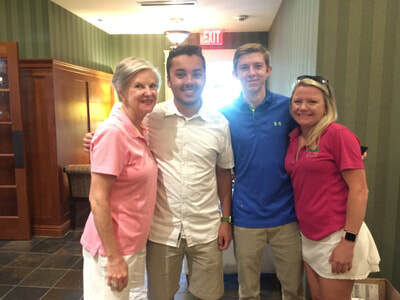 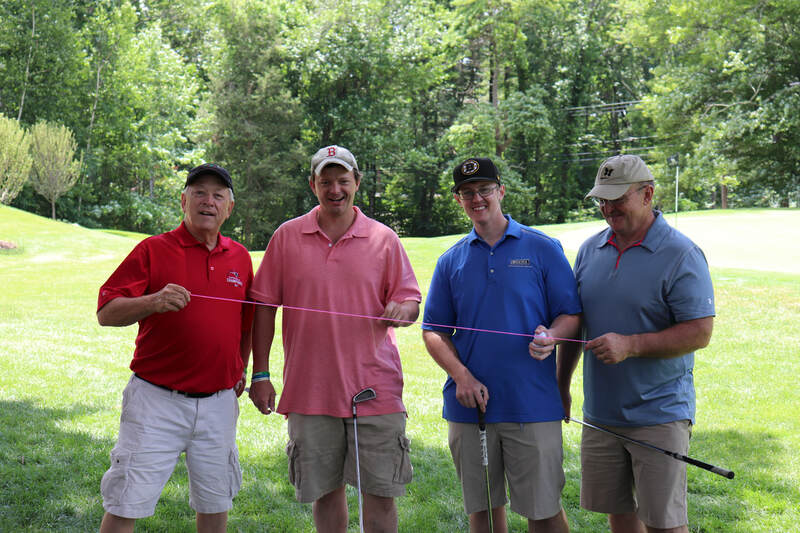 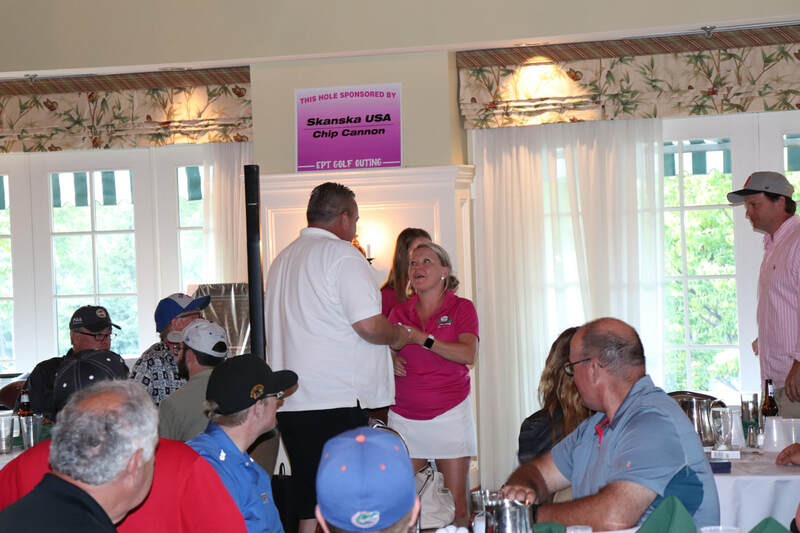 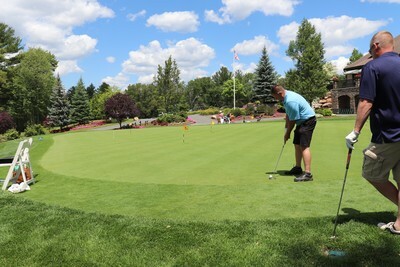 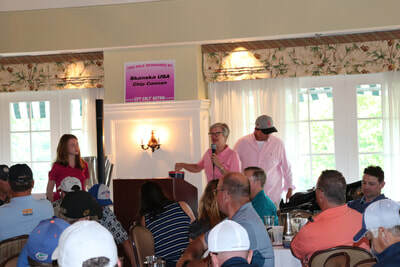 ​​Emily's Pink Team will be holding its 12th annual golf outing on Monday June 24th, 2019. 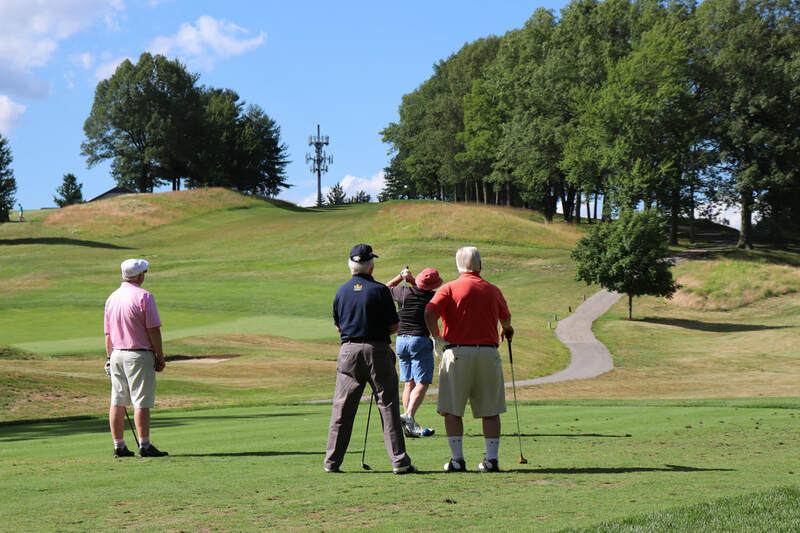 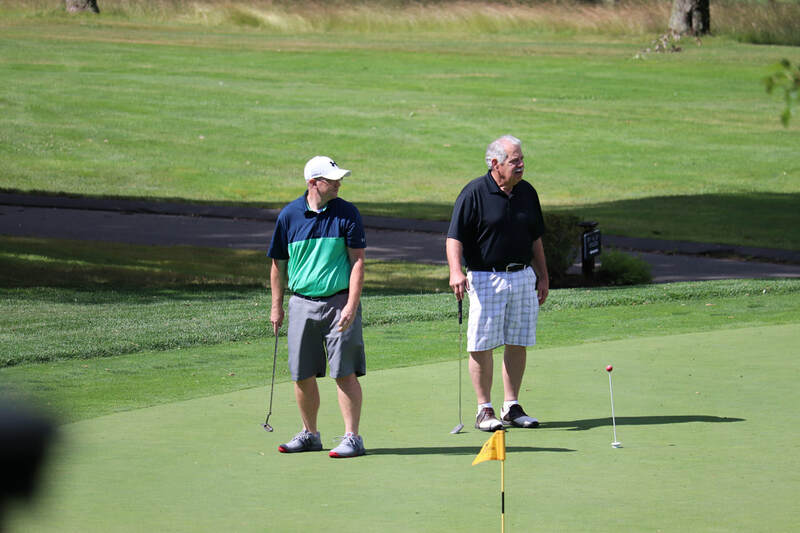 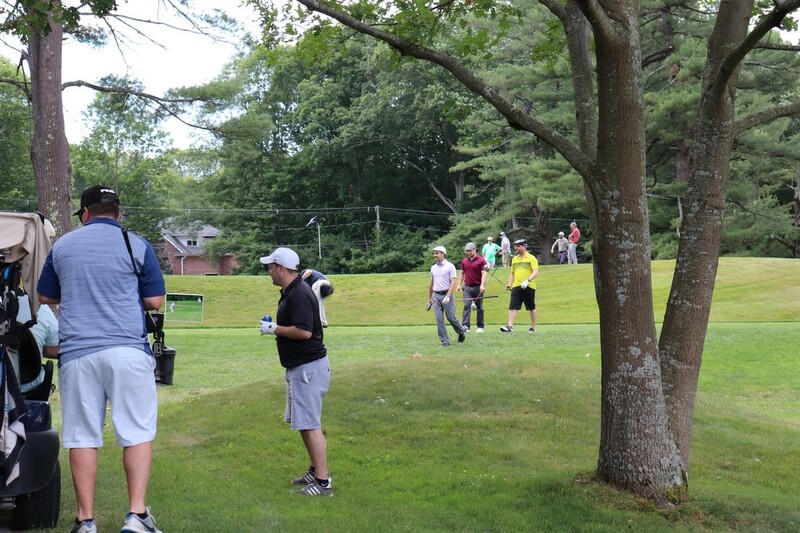 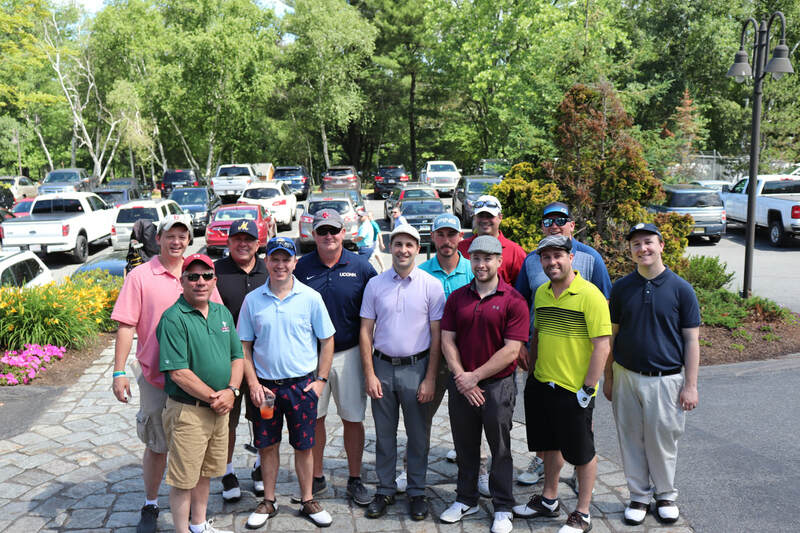 The outing will return to Hopkinton Country Club for the sixth straight year. 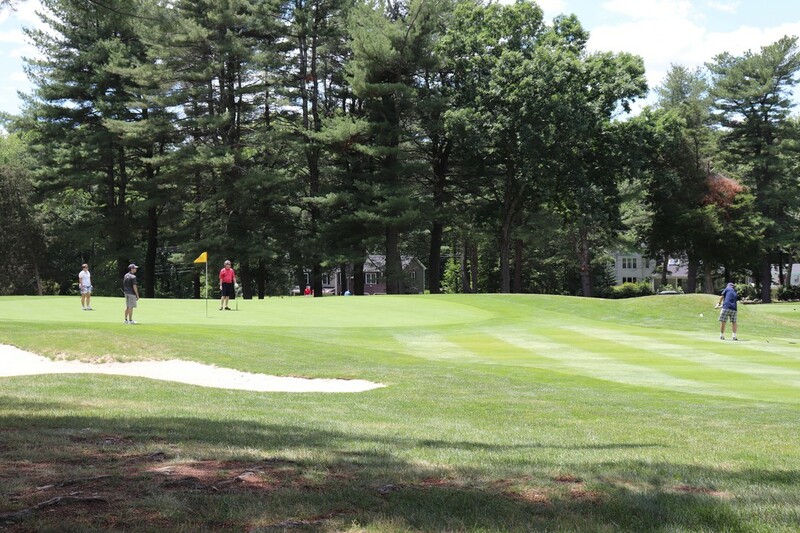 With your help, we hope to achieve our fourth-straight sellout crowd! 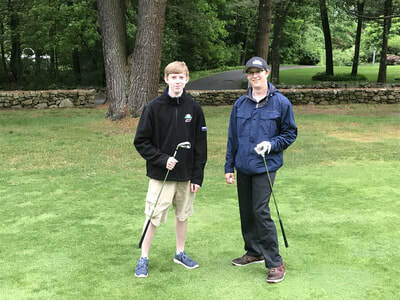 New for 2019: we are working with the Arthritis Foundation to send a number of children to camp this summer. 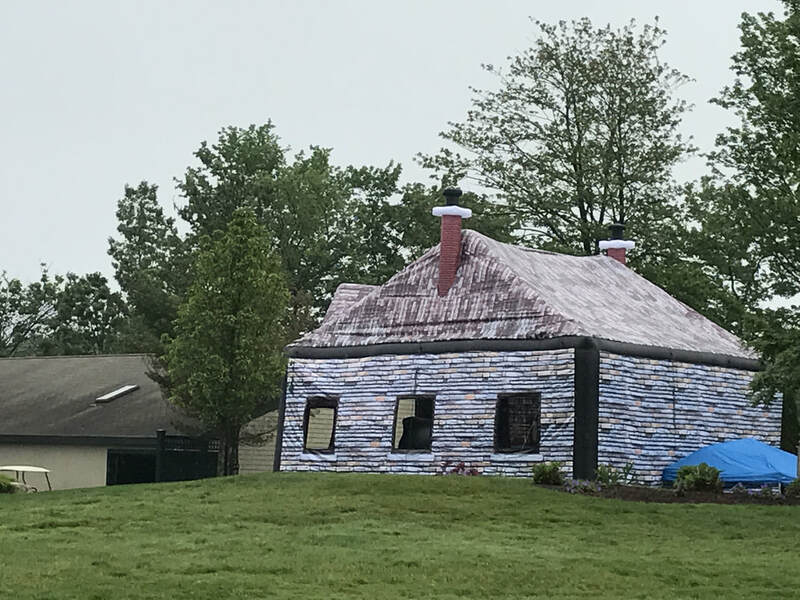 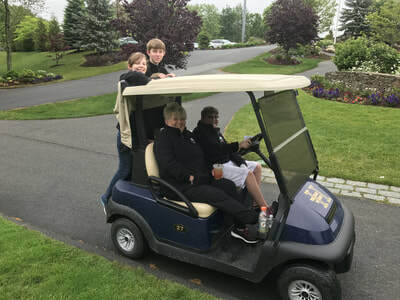 There are four camps in the Northeast that have at least one dedicated “Arthritis Week”, and the average cost per camper is $1,300 per week. We are encouraging all golfers to consider contributing towards one of our new campership options, enabling less fortunate families the opportunity to give their child a life-changing experience. Emily has had the opportunity to attend two of these camps over the years (Camp Dartmouth-Hitchcock in VT and Double-H Ranch in NY), and we would love to help other children have the same positive experience that she had. For more information, please click here. As for golf… registration, breakfast, and complimentary driving range will be open from 9:30AM to 10:45AM. 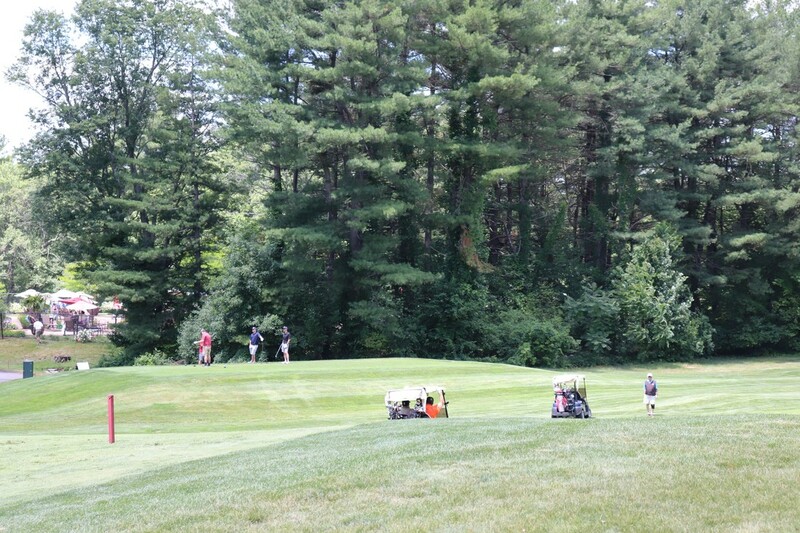 Drivers will report to their carts at 10:55AM, and the shotgun scramble format will start at 11:00AM sharp. 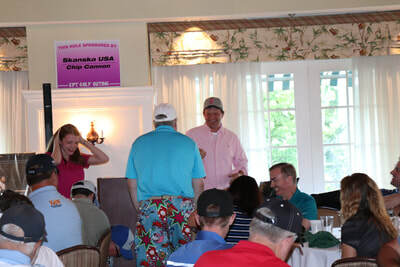 Lunch, golf, cart, and dinner are provided with your registration fee, and many prizes will be offered at the dinner reception, including longest drive and closest to the pin (for both ladies AND gentlemen), as well as teams with the lowest (and highest) scores... Not able to register for golf, but still want to show your support? 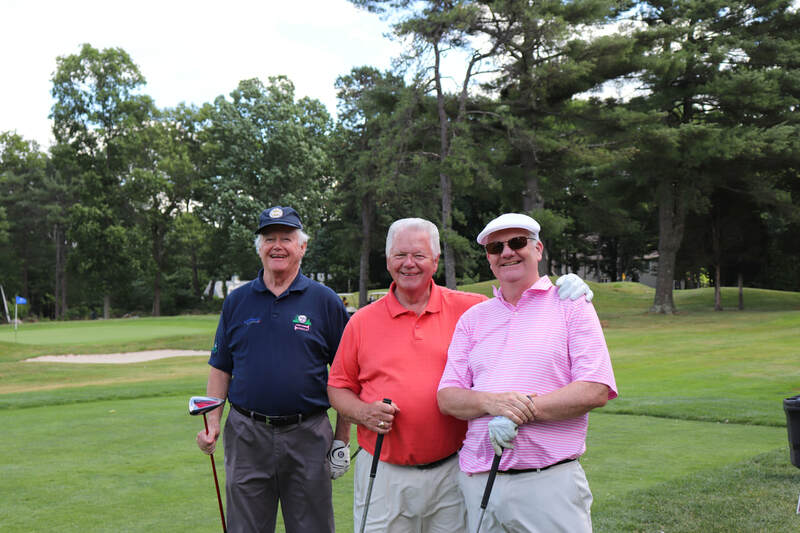 Please consider registering as a dinner guest and joining us for hors d'oeuvres and dinner beginning at 4:30PM. While the primary goal of this event is always to enjoy a great day with friends and family, we also strive to raise awareness and funds in support of families coping with juvenile rheumatoid arthritis. 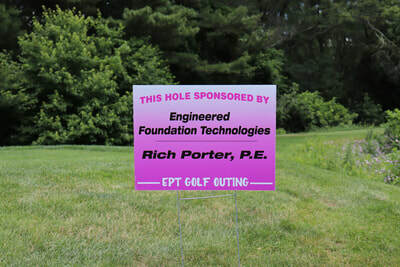 We would be grateful if you shared this website with friends and encouraged them to participate by sponsoring, purchasing a campership, donating a raffle/auction prize, and/or by making a 100% tax-deductible contribution to Emily's Pink Team (EPT is recognized as a 501.c.3 non-profit corporation). 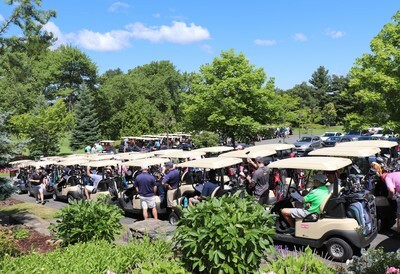 To support the event, please REGISTER, SPONSOR, and/or donate a full or partial campership using the links below. 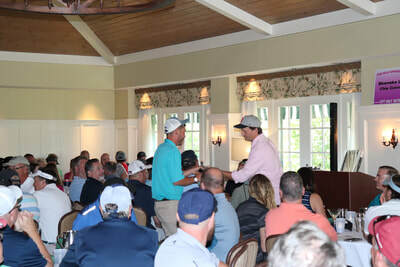 We will recognize our generous sponsors throughout the event, and will include their names here as registrations are received. 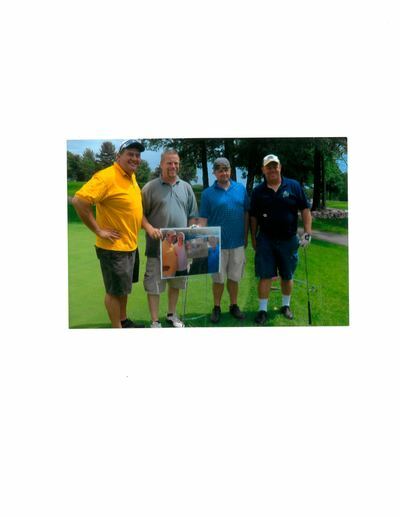 Thanks in advance to all for your continued generosity and support. 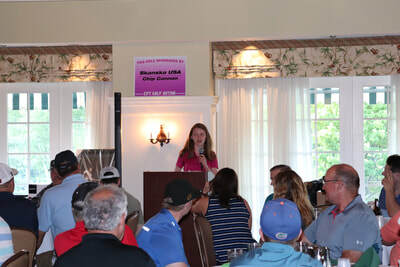 In 11 years, Emily’s Pink Team has raised nearly $200,000 in support of children with Arthritis. 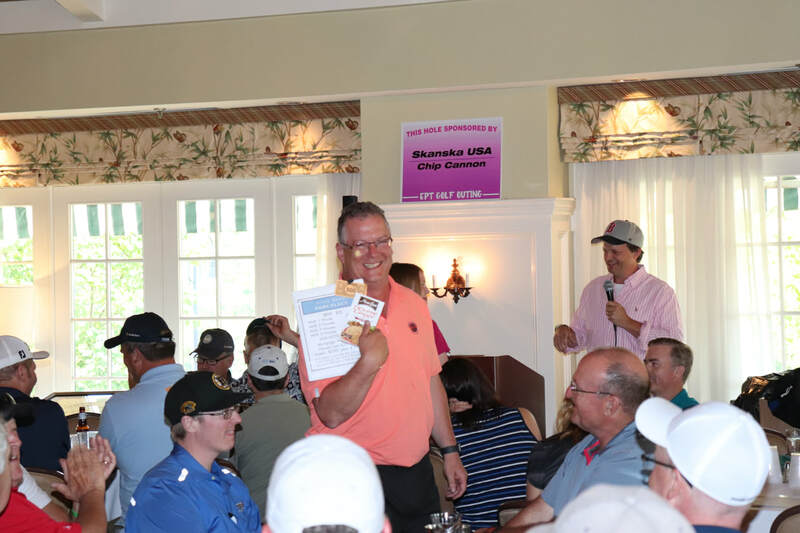 144 Golfers, dozens of sponsors, a team of volunteers, a tremendous country club staff, and one loaf of banana bread. Put all those things together, and that's how you raise $40,000 for charity in one day. 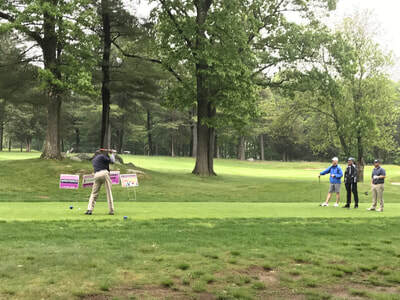 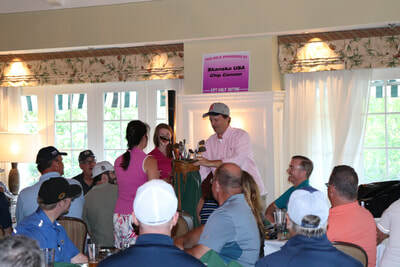 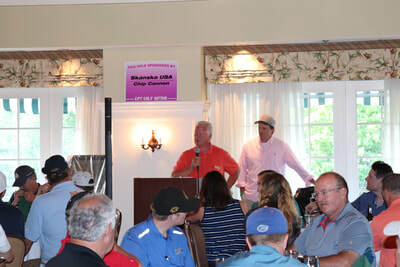 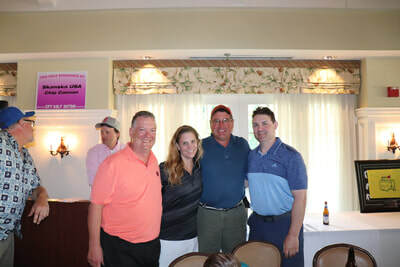 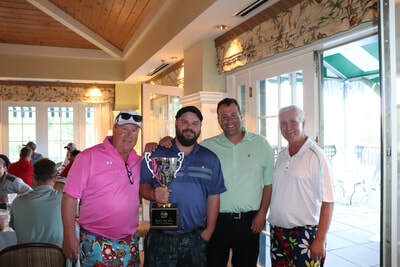 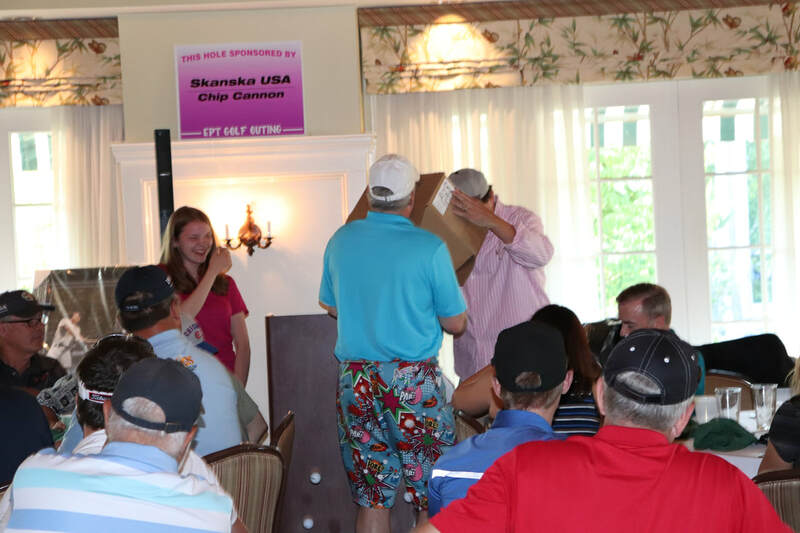 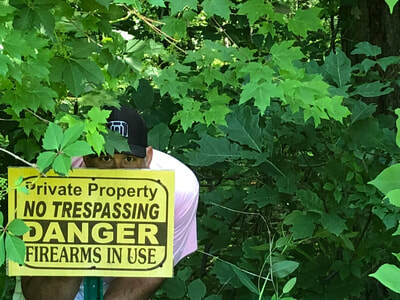 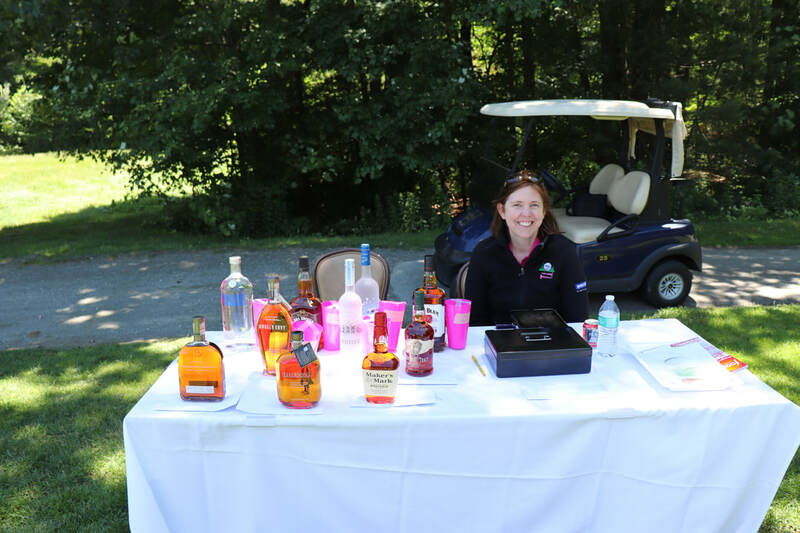 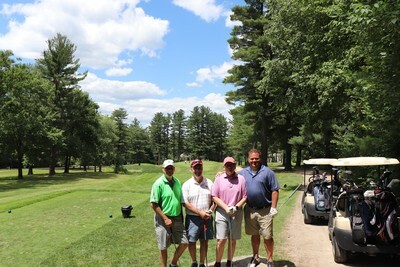 The 11th Annual Emily's Pink Team Golf Outing was another record-breaking success. 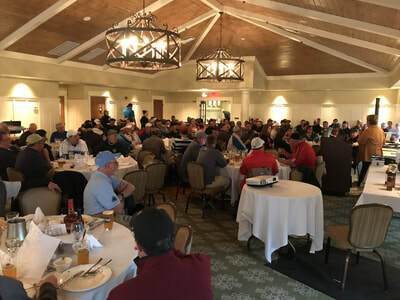 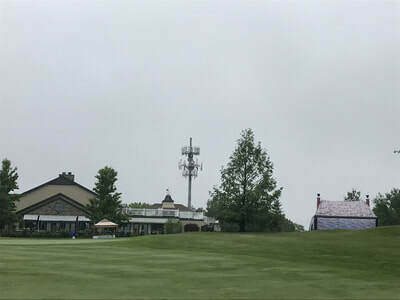 For the third straight year, 144 golfers participated in a display of skill, sportsmanship, and generosity (and not in that order). 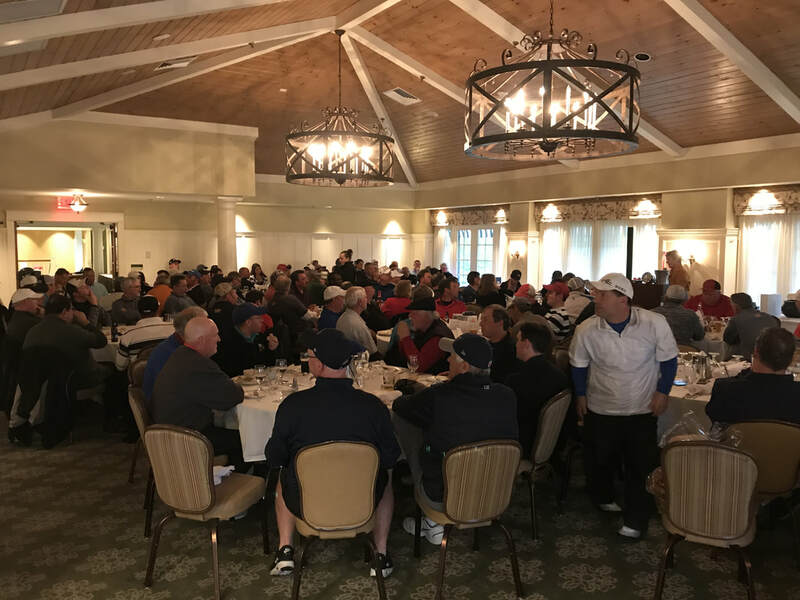 At this event we surpassed the milestone of 1,000 total golfers, and we also destroyed last year's record total of $32,000 raised. 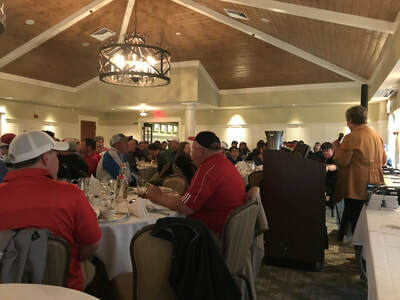 With $40,000 raised from this event, we are now less than $4,000 away from $200,000 total funds raised by the EPT Golf Outing since its inception. 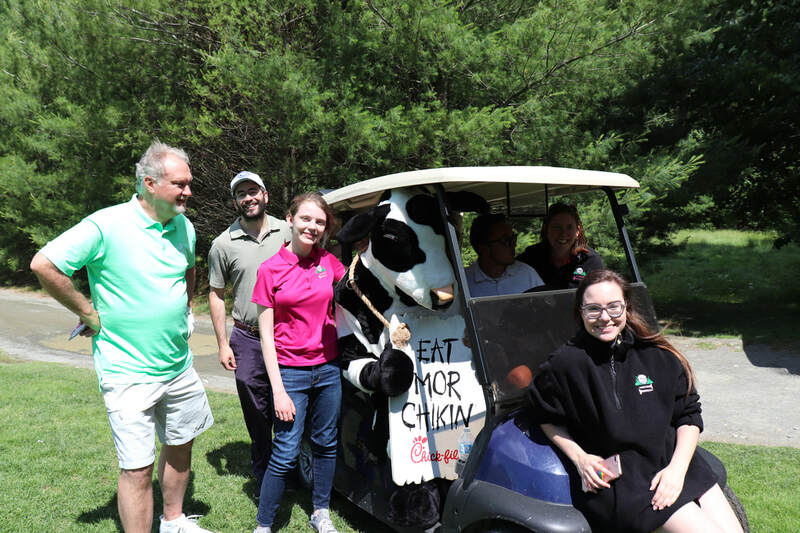 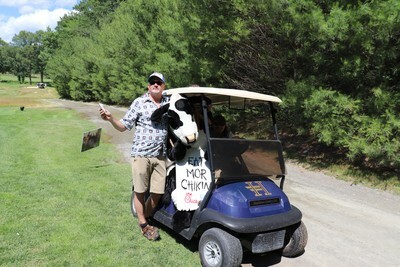 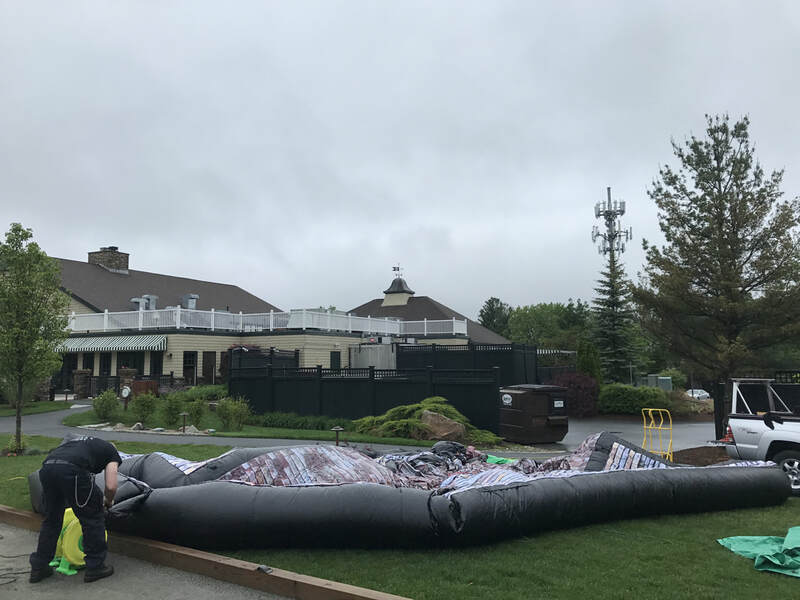 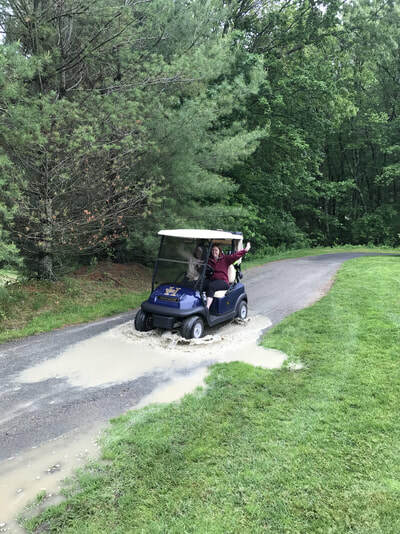 Participants enjoyed beautiful weather, perfect golf conditions, and even a free cookie courtesy of Chik-Fil-A... and as one golfer found out the hard way, that giant cow in the golf cart WASN'T a stuffed animal! 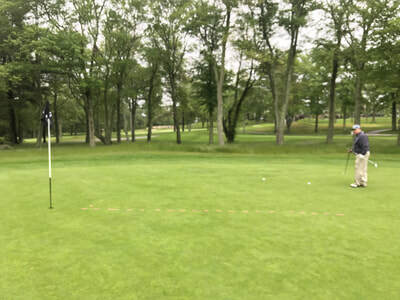 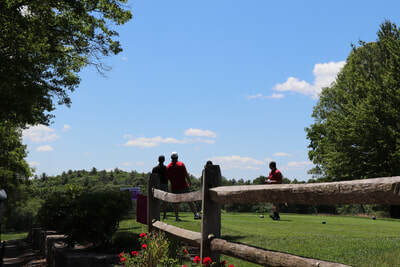 Hopkinton Country Club treated us to grilled burgers and dogs on the course, golfers got to play the 7th hole entirely with their 7-iron, and four lucky (??) scavengers were "rewarded" for their efforts during the first-ever "Easter Egg Hunt". 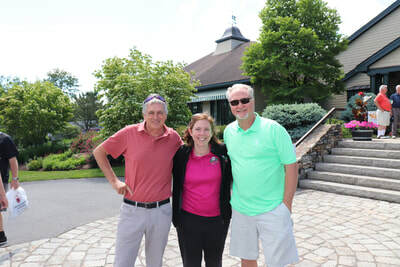 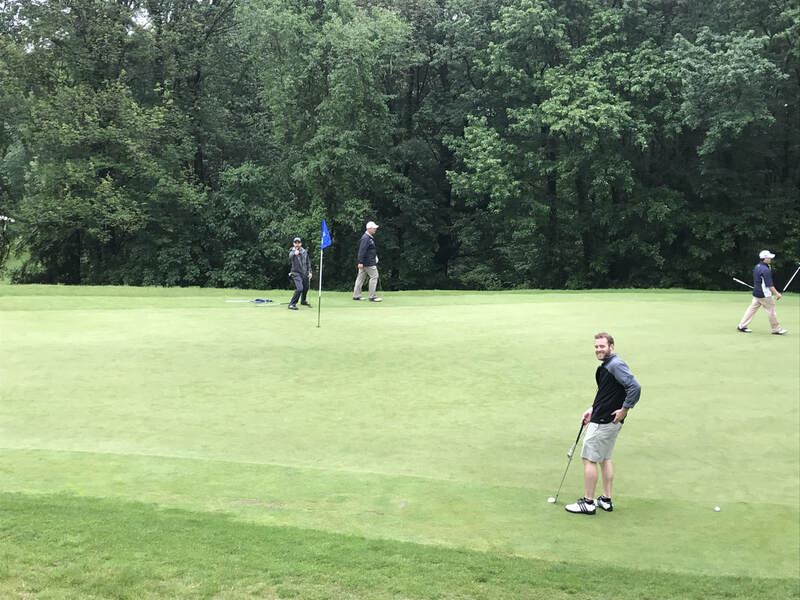 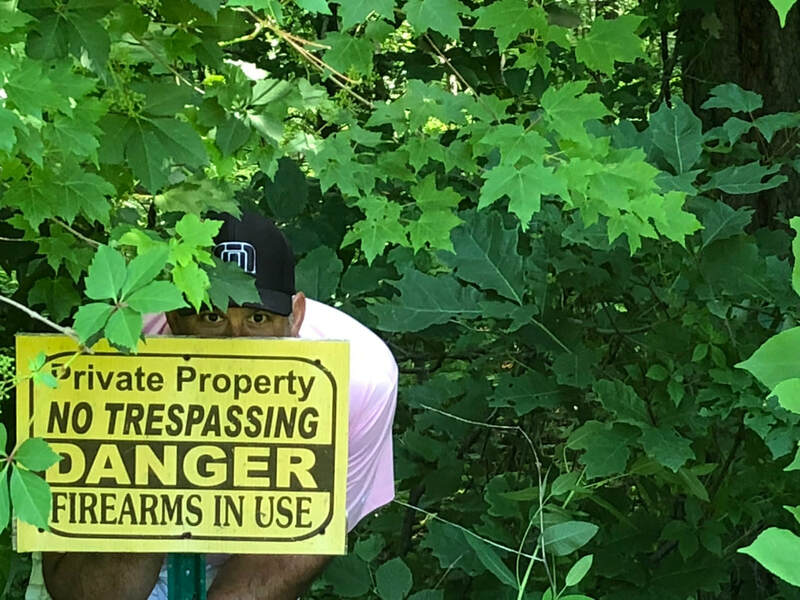 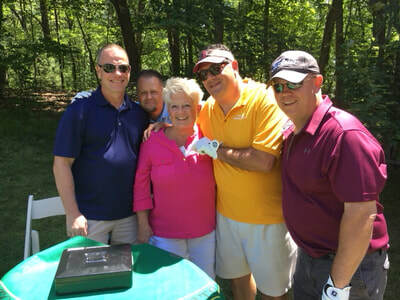 And for the second time in 11 years, the EPT Outing bore witness to a hole in one, this time by female golfer Melissa Mong. Melissa hit her Ace on the 8th hole (note: the ladies tees were positioned in the same place as the men's tees). Interestingly, she was a last-minute substitute for a long-time member of three-time champion foursome "Patent Pending"... Not a bad last-minute addition to a team that came in second place via a six-hole tiebreaker. 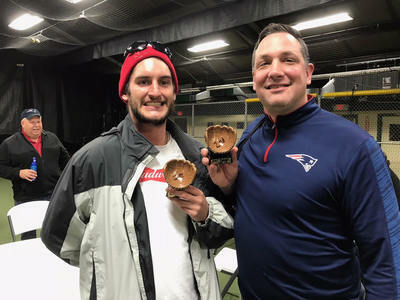 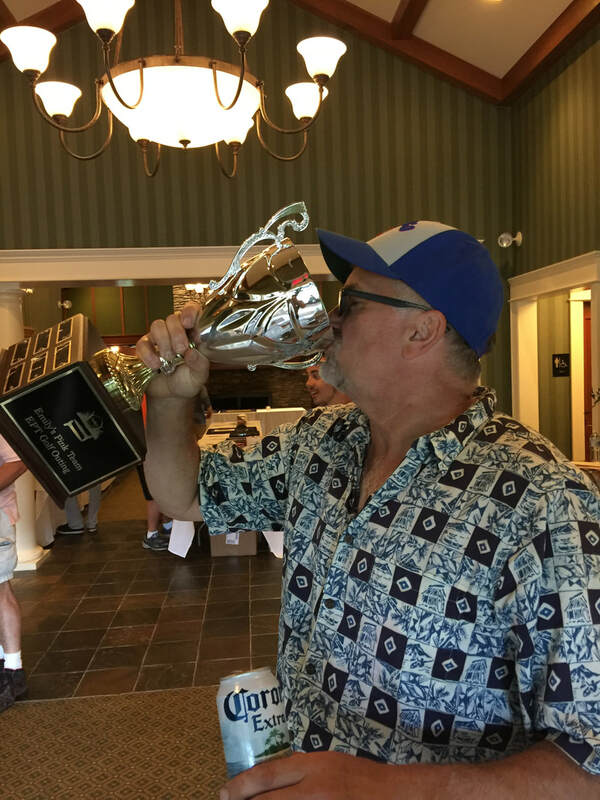 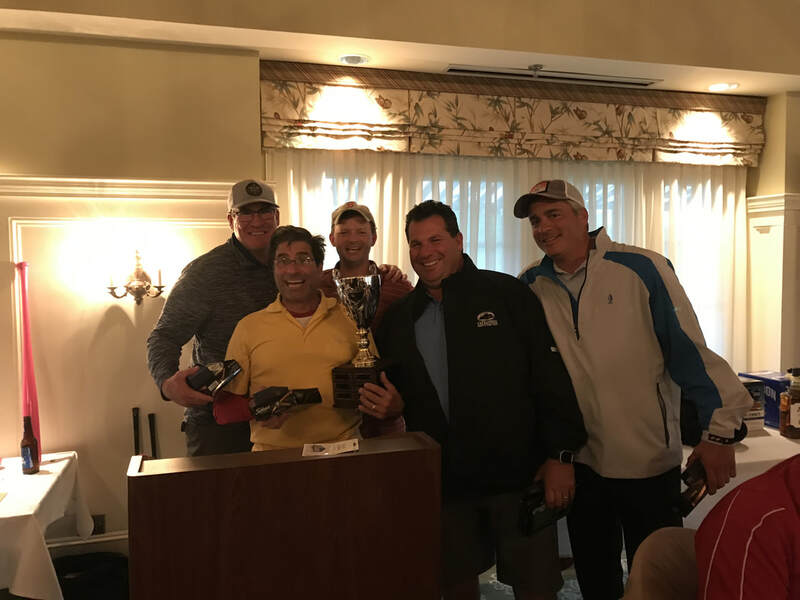 Congrats to "The Good, The Bad, and The Uglies" for bringing home the hardware this year with an impressive 14-under-par 58... And courtesy of Paul Wood, that hardware still had some beer left in it for the trophy presentation! Thanks once again to our major event sponsor SKANSKA USA - our gratitude cannot be measured. 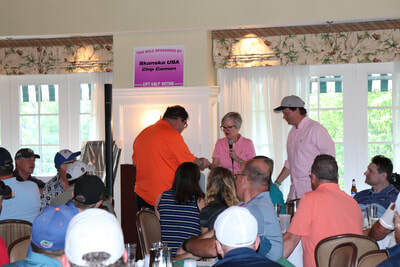 Thanks also go out to our silver level sponsor Moretrench (thanks Tom & Doris), grand level sponsors Avidia Bank, Eaglebrook Engineering, HUB Foundation, Local 88 Tunnel Workers, S/A Maraia Charities, and the Welch Corp., and contest hole sponsors Geotechnical Consultants, GZA, Laborers Local 88, OCI, and Raymond Piling Products. 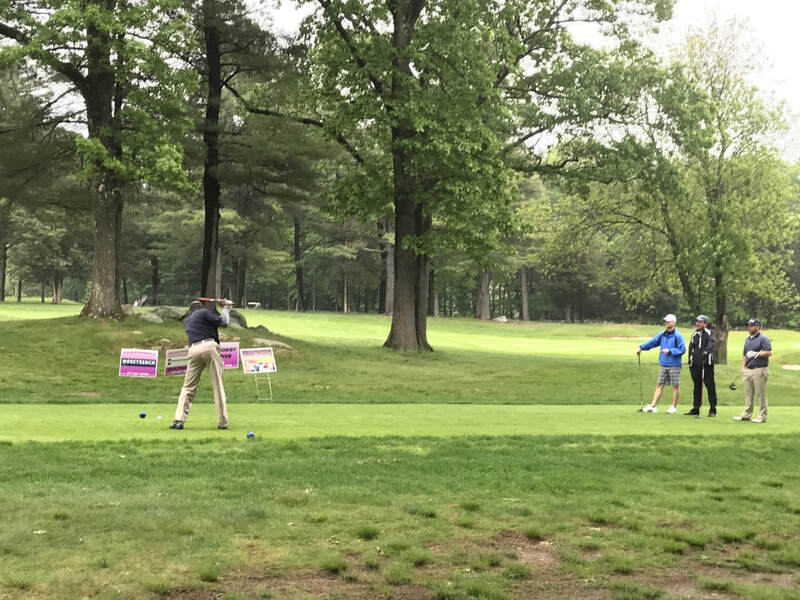 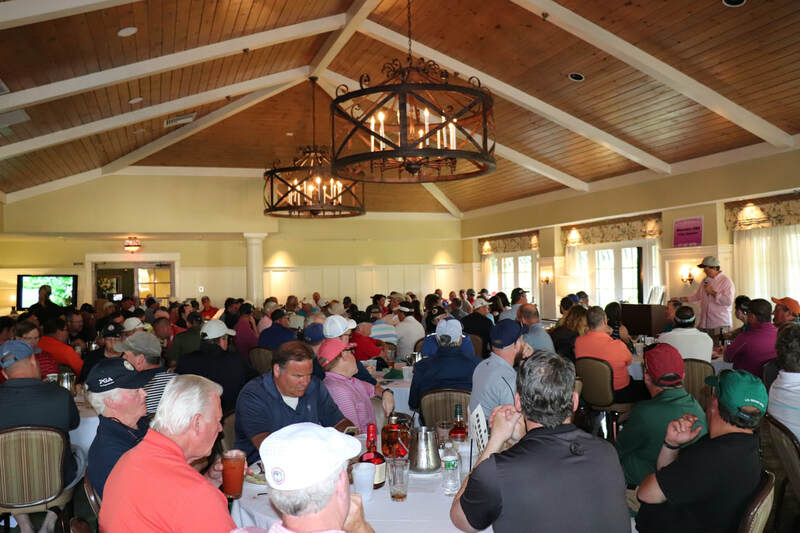 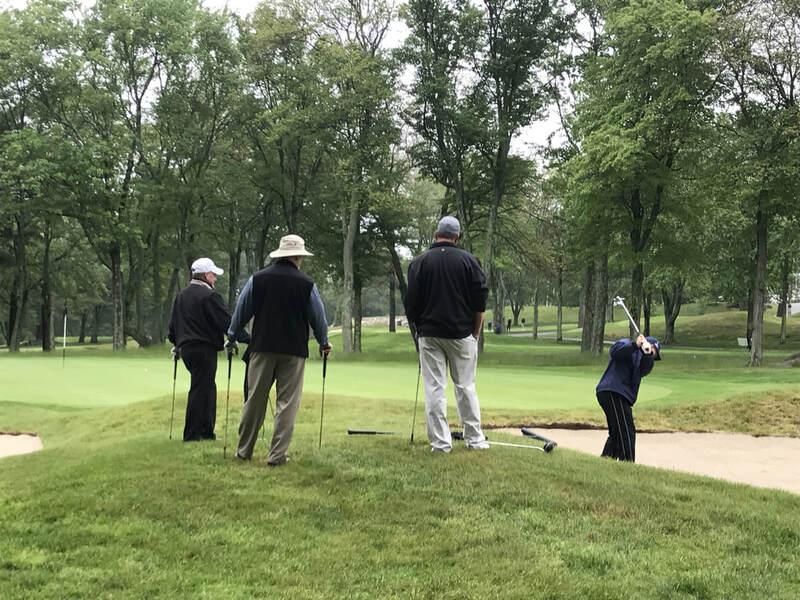 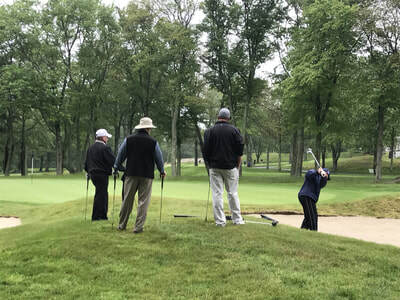 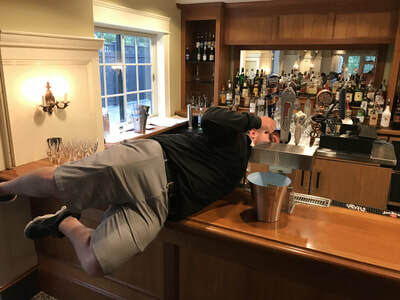 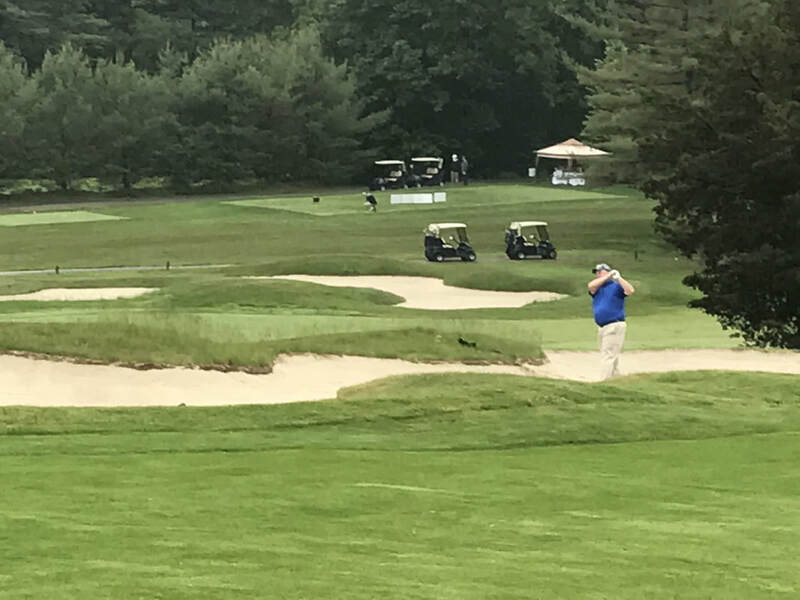 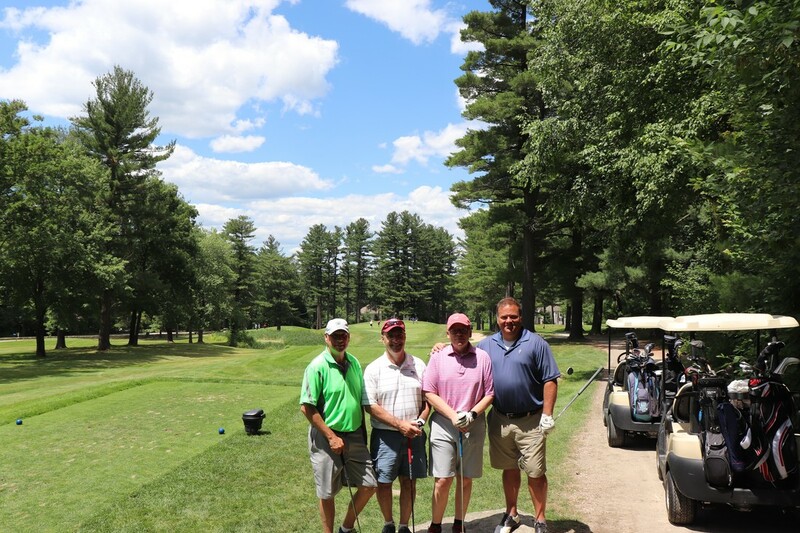 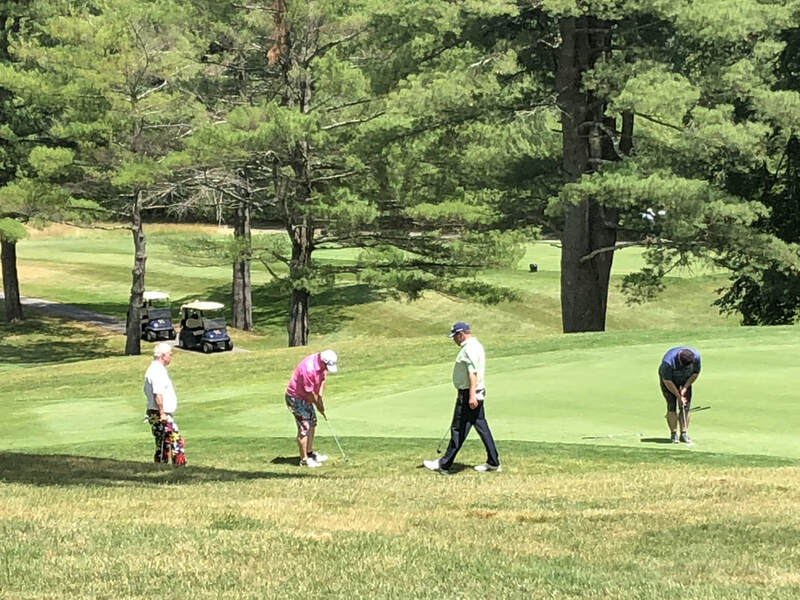 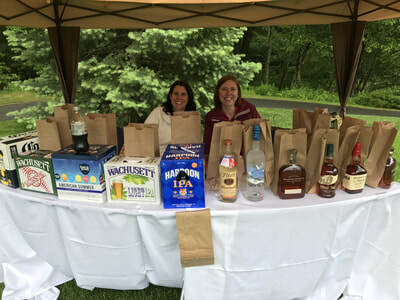 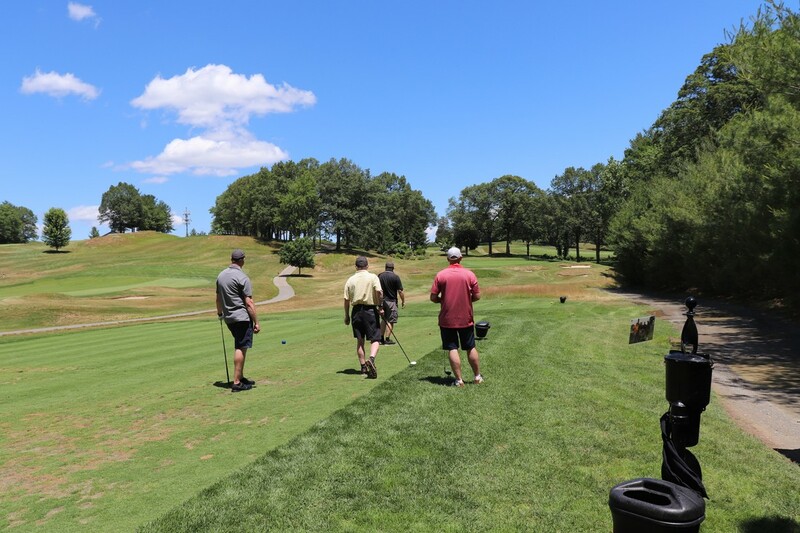 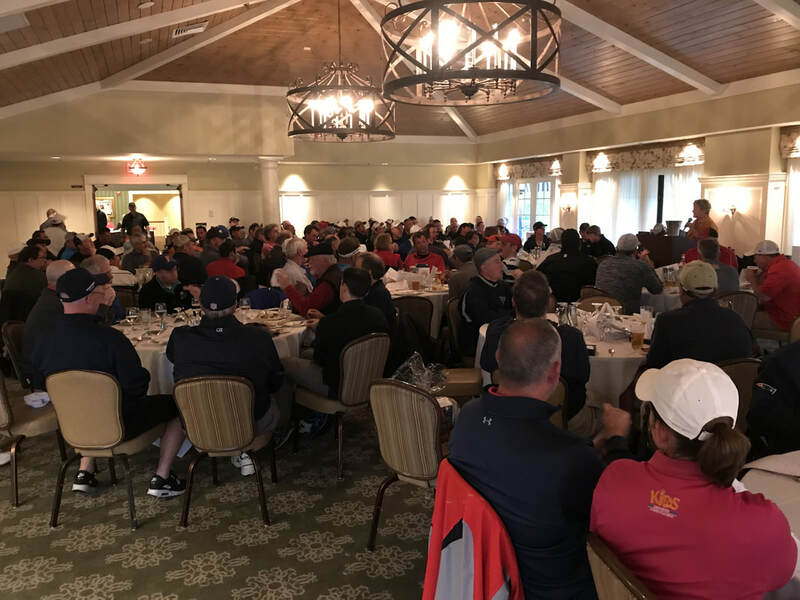 We must also recognize and thank our many hole sponsors, our dedicated volunteers, the Hopkinton Country Club staff, our amazing friends, and our loving family for making this event the overwhelming success that it is each and every year. 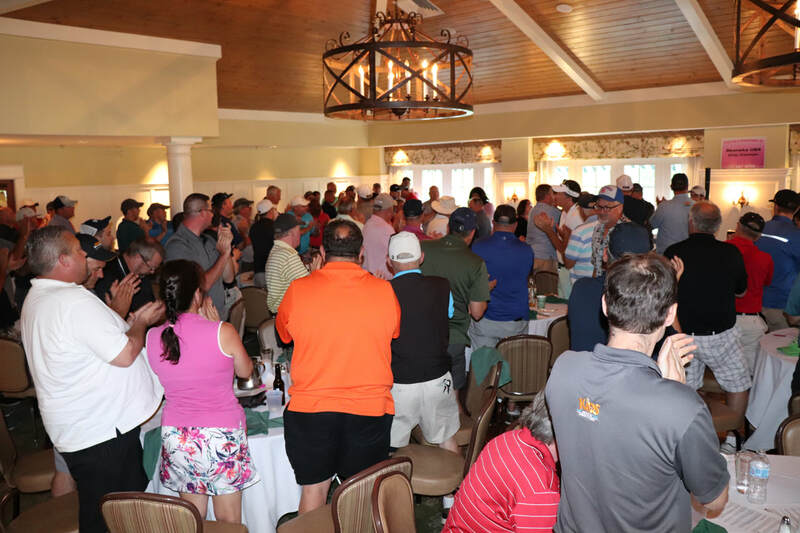 Thank you all for your continued support! 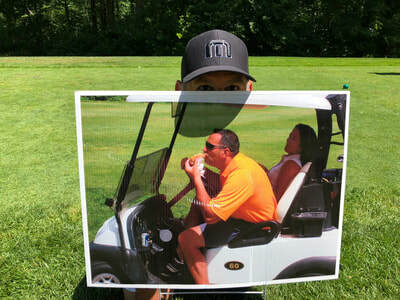 ​ Didn't make it to the 11th Annual EPT Outing but still want to make a difference? 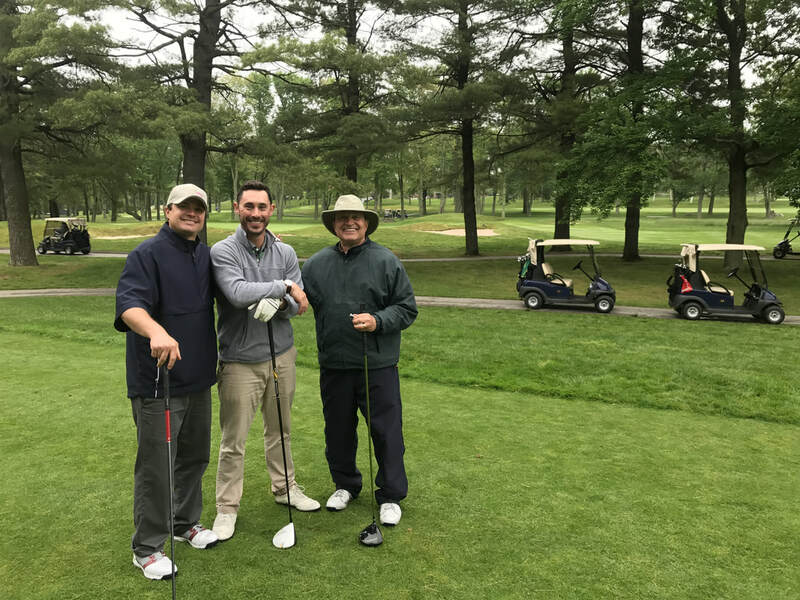 Click to donate! 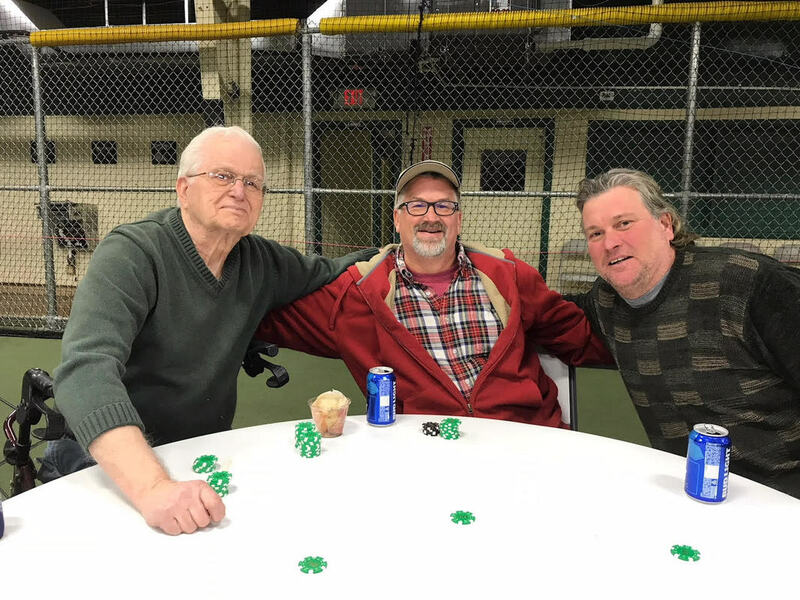 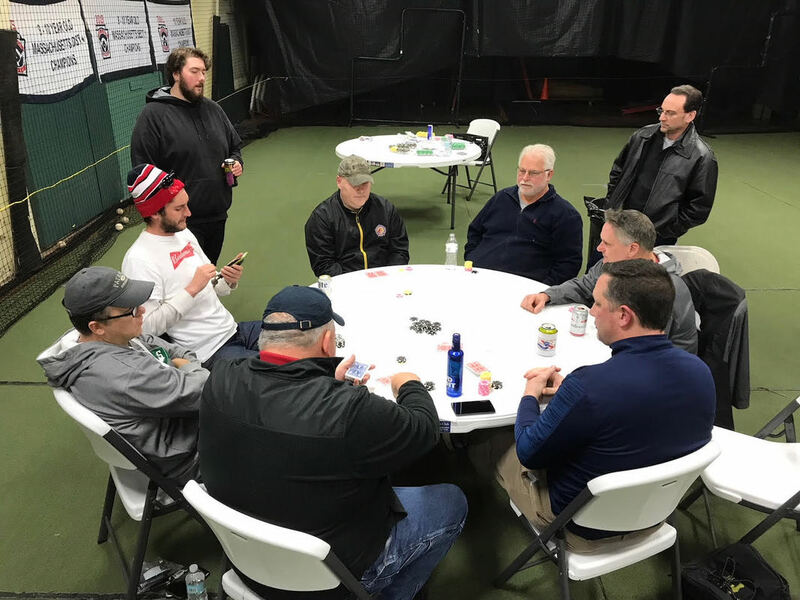 EPT held its 2nd installment of its "EPT Poker Tournament" on Sunday 1/28/18. A total of 25 players competed in a hard-fought battle of wits and will, with four players sharing in the top prizes. Check back on this site periodically for news regarding our 3rd tournament, expected later in 2018! Emily's Pink Team hit several major milestones in 2017. With its 10th annual golf outing on June 5th, 2017, Emily's Pink Team not only commemorated a full decade of golf outings, but we managed our second consecutive sellout crowd in the process. 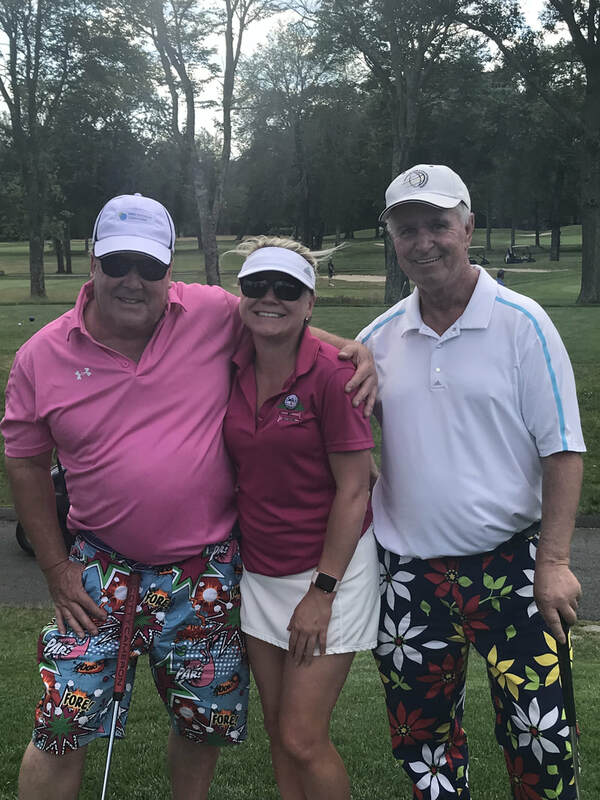 When the day was over, more than $32,000 was raised for our charities, the Arthritis Foundation and Shriners Hospital of Springfield. 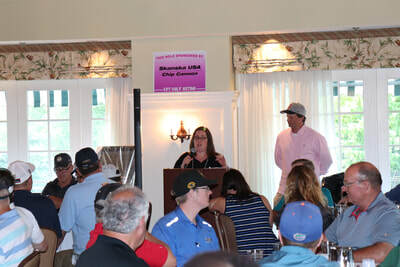 This brought us to another milestone, as we surpassed $150,000 in total funds raised from this event. Finally, we were honored to be joined by Ann Palmer, CEO of the ARthritis Foundation. 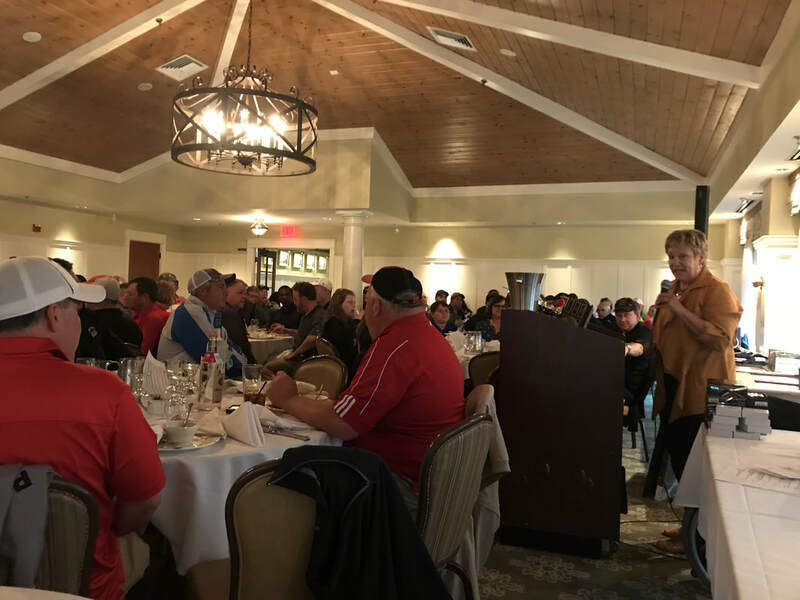 Ann came all the way from Atlanta, GA to welcome our participants and share a few words about how meaningful everyone's involvement in our cause is. 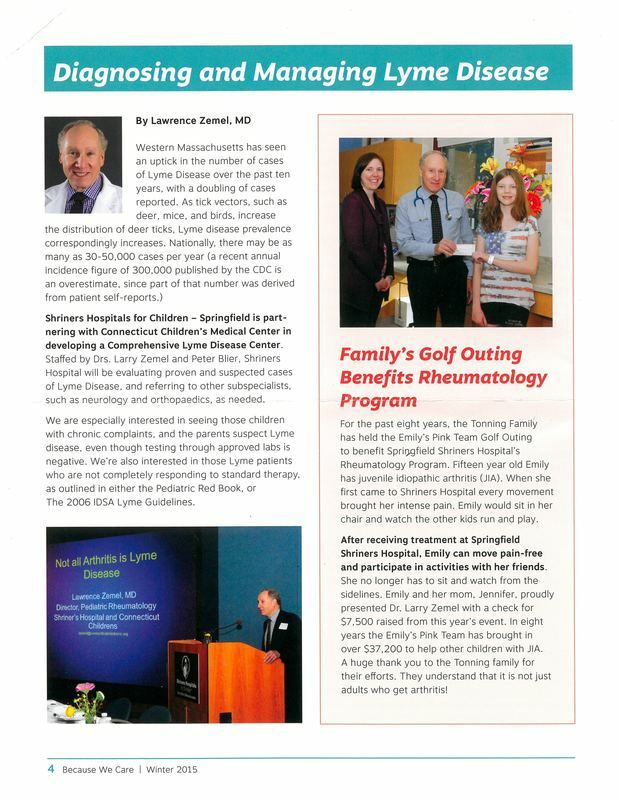 On behalf of the nearly 50 million Americans (including over 300,000 children) who suffer from Arthritis, THANK YOU FOR YOUR CONTINUED SUPPORT! And as always, we would like to honor our generous event sponsors. In 2017 we were blessed to have two Platinum Sponsors, Moretrench and Skanska USA, along with a Silver Sponsor, Laborers Local 88. 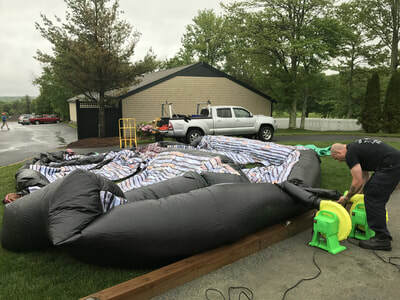 Additionally, a total of 9 groups registered as Grand Sponsors: thanks to AJ Welch, Avidia Bank, Contractors' Supply Inc., Eaglebrook Engineering, Equipment Corporation of America, GZA GeoEnvironmental, Haley & Aldrich, S/A Maraia Charities, and anonymous. 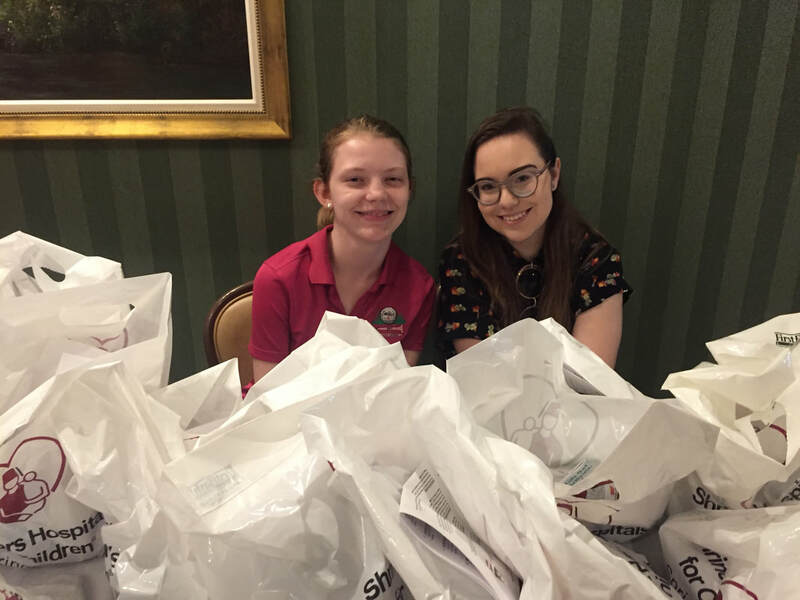 In March 2017, Emily and her Mom headed to Washington DC to take part in the Arthritis Foundation's annual "Advocacy Summit". As part of the trip they spent a day on Capitol Hill talking to legislators. It's important that everyone (including Congress) be made aware that "Kids Get Arthritis Too", and that there are nearly 50 million Americans suffering from Arthritis and other rheumatic diseases. 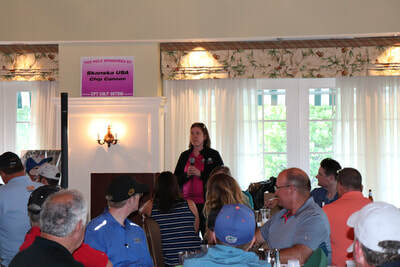 For more information on the AF's Advocacy Summit, click here. Emily Hitting the Streets For Her 11th "Walk to Cure Arthritis"
On Sunday May 21, 2017, Emily and her family and friends will meet at DCR's Quinsigimond State Park in Worcester MA for their 11th Walk to Cure Arthritis. While we will miss the old walk route passing underneath highway underpasses and across litter-filled gutters and sidewalks, we are looking forward to a nice stroll in the park! 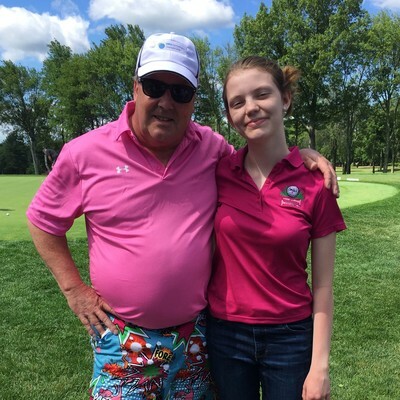 Please click here to register for the Walk, and/or to make a tax-deductible donation to Emily's walk team. All proceeds benefit the Arthritis Foundation. 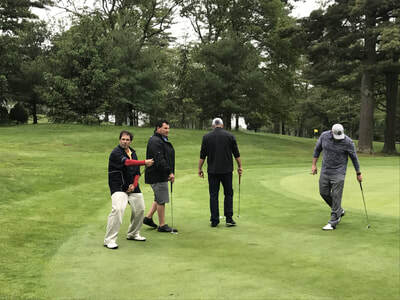 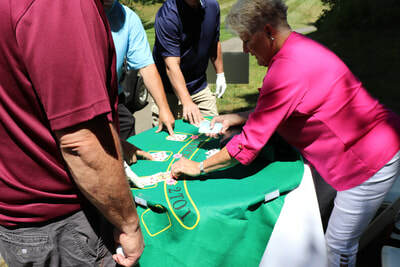 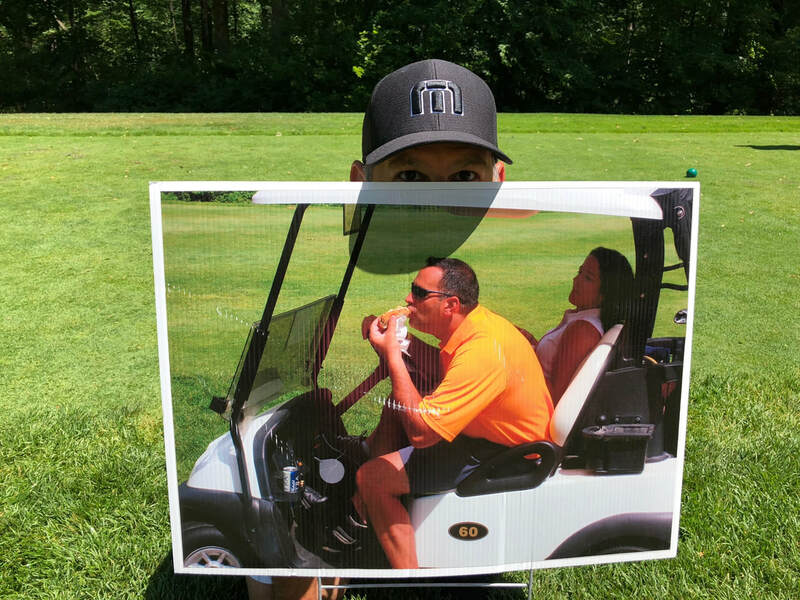 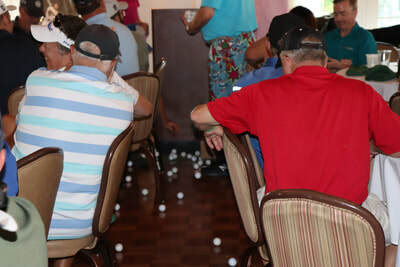 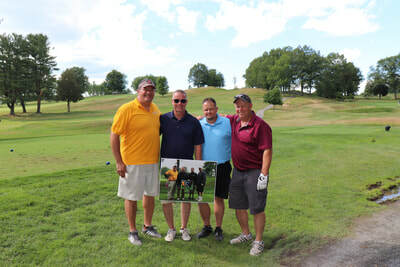 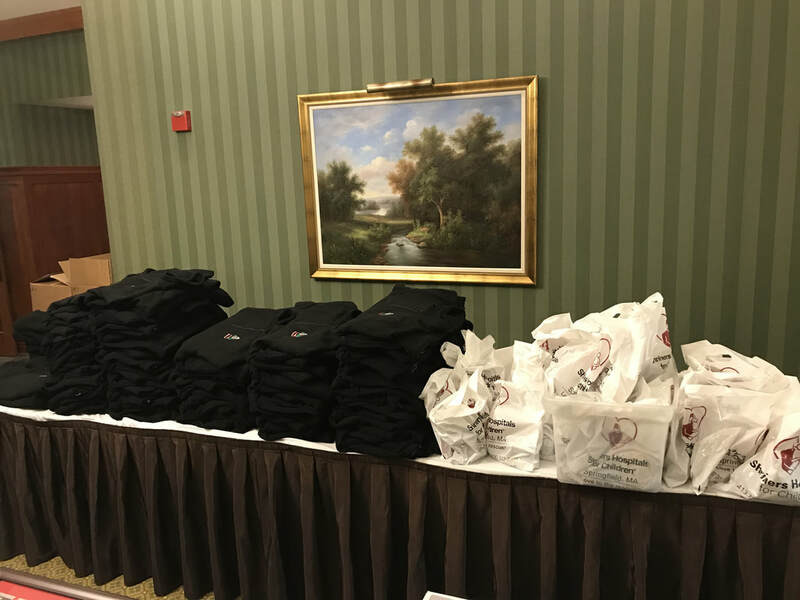 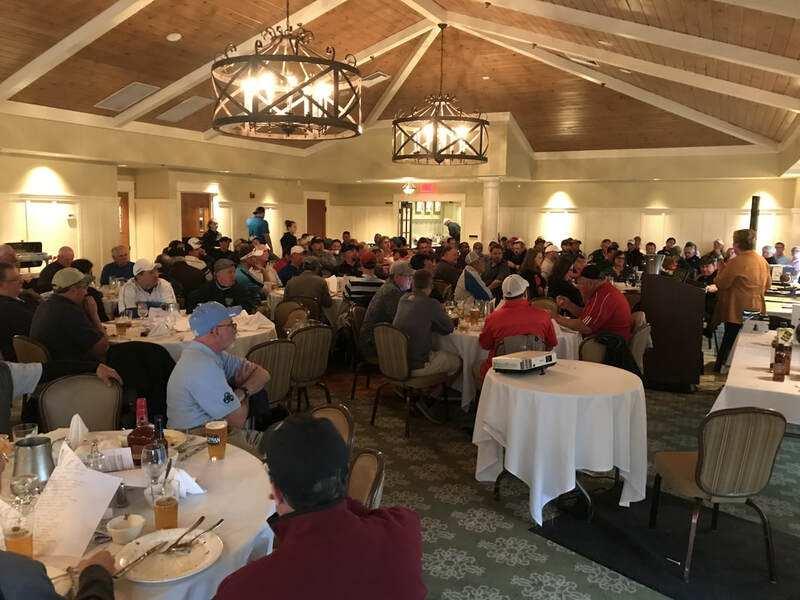 9th Annual EPT Golf Outing Raises Over $30,000! 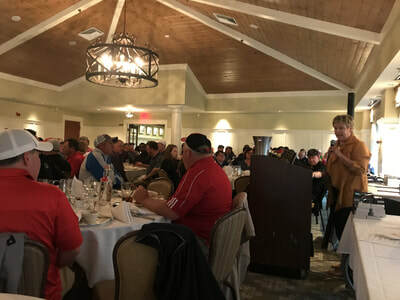 support of hundreds of people. THANKS TO ALL!! 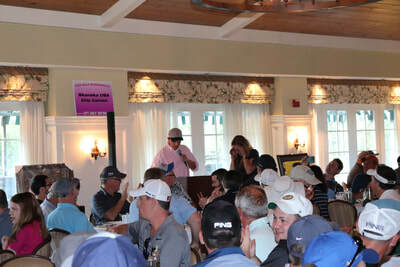 Thanks to everyone who had made this event so successful over the years!! 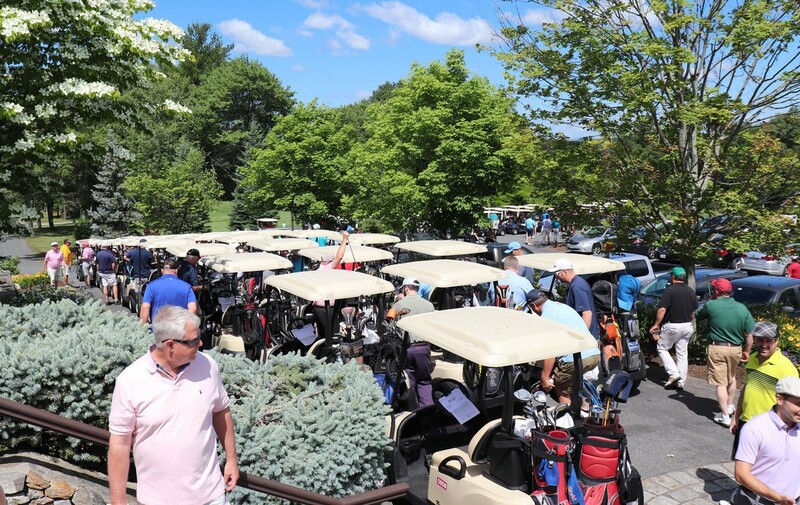 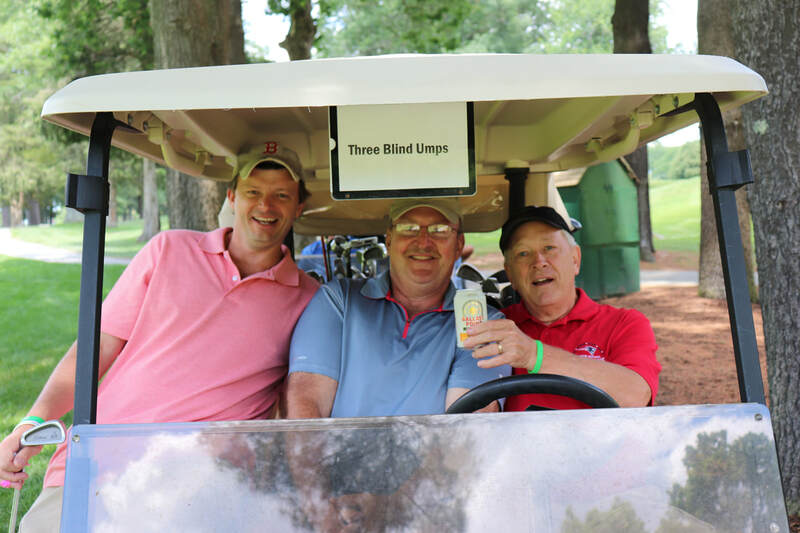 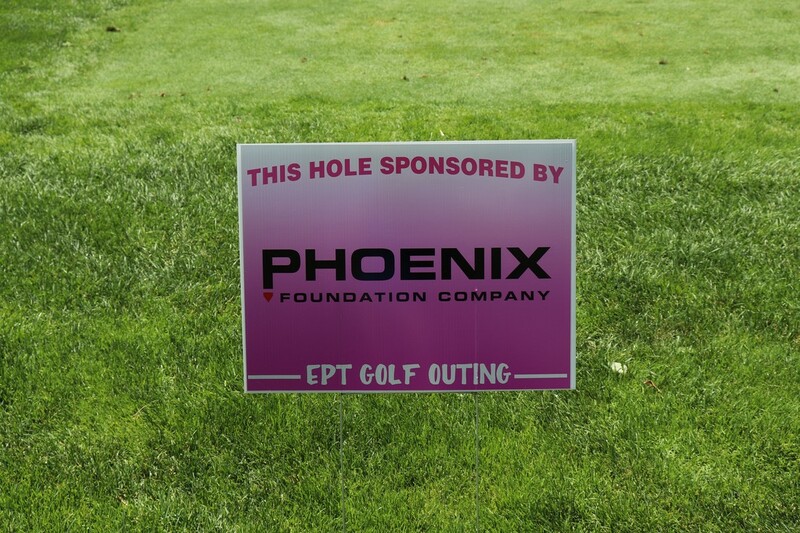 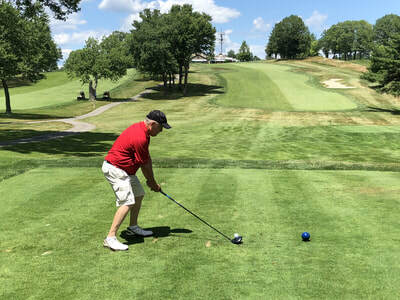 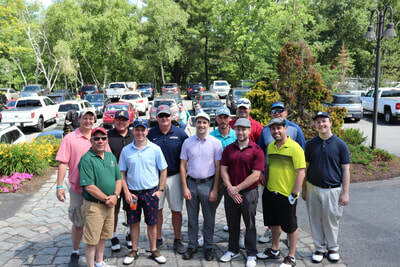 8th Annual EPT Outing Raises Almost $23,000! 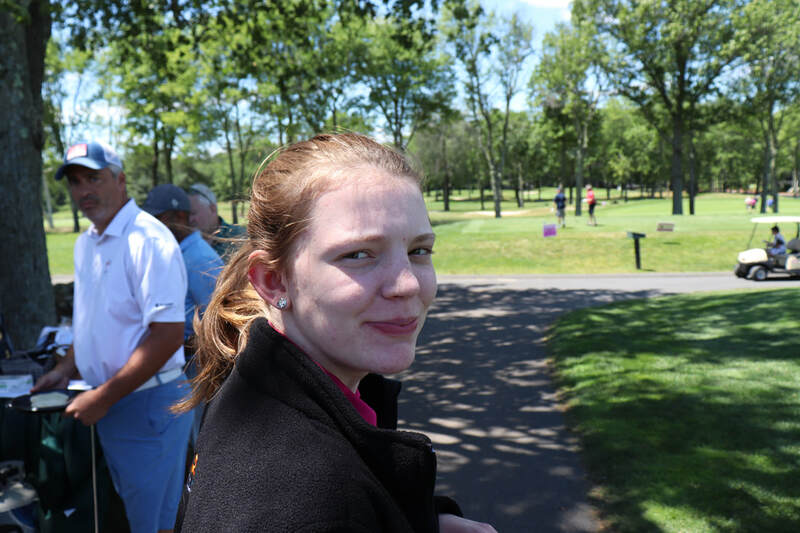 Emily's Story... as told by EMILY!